I love Python. It has been my go-to language for the past five years. Python is very friendly and easy to learn while still remaining super effective. You can use it for almost anything — from creating a simple script and web development through data visualizations, and machine learning. But the growth in the maturity of Go, the strong user base, and the fact that more and more companies have decided to move to Go after successful benchmarking, made me read more extensively about Go, and think about how I can add it into my tool set and apply its benefits to my work. But this post is not going to talk about which programming language is better — Python or Go, there are plenty of posts and comparisons about this topic online, and it really depends on the use case in my opinion. 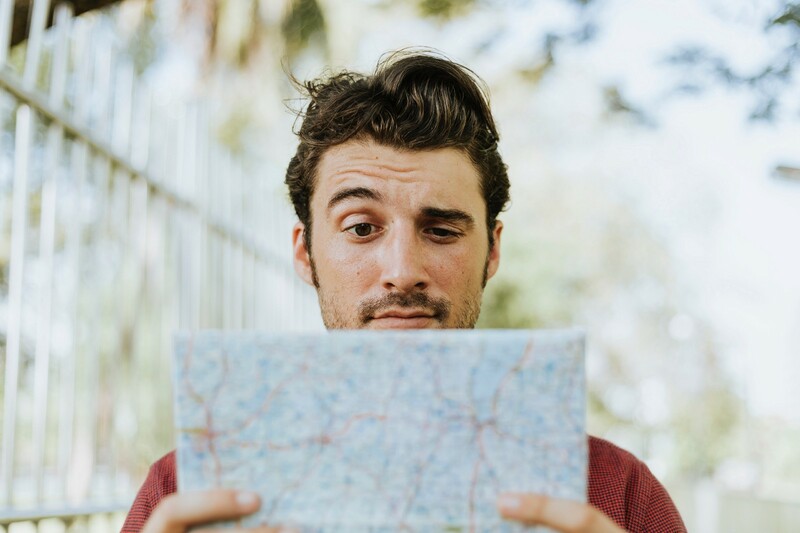 In this post, I’m going to tell you about my journey from Python to Go, and provide you with some tips and expose you to some of the resources that helped me succeed on this journey and live to tell the tale. Of course, as first step I went over the amazing official “Tour Of Go”, which definitely gave me a strong basic knowledge about the Go syntax. In order to strengthen that knowledge, I read the Go for Python Programmers ebook that allowed me to continue on to the next step — which I believe to be the most educational — trying and failing. I took common functions that I had previously been using in Python like JSON serialization or working with HTTP calls, and tried to write them in Go. By applying similar concepts from Python in Go, and still embracing the static nature of the language, I encountered some of the key differences between Go and Python. First and foremost, Python typically does not require a specific directory hierarchy, whereas , Go on the other hand does. Go uses a “standard” layout which is a bit more complex and creates slightly more work, but the upside is a well-structured code base that encourages modular code and keeps things orderly as a project grows in size. The official “How to Write Go Code” has a section that explains exactly how to build your workspace. Go is a statically typed language, which can make you feel uncomfortable at first because of your habits from a dynamically typed languages like Python or Ruby. There is no doubt that dynamic languages are more error prone, and it takes more effort in terms of input validation to prevent common syntax or parsing errors. Think about a function that calculates the sum of two integers, there is really no guarantee that the user who uses this function won’t pass a string into the function — which will cause a TypeError. This scenario can’t happen in Go, as you need to declare the type for each variable — which type of variable your function can get, and which type of variable your function will return. At first it was a bit annoying, and it felt like it makes my coding speed much slower, but after a short time reading and writing in Go, you really get used to it, and it actually can save time, and make your code much more robust. Go has native concurrency support using goroutines and channels, which can be really handy nowadays. At first, the concept of channels can be a bit tricky, and it’s easy to look at it as some kind of data structure or queuing implementation. After some reading though, they become more straightforward, and you can really enjoy the value they bring, and take full advantage of them. For more examples, take a look at the Hootsuite real life implementation of goroutines, channels and the select statement, or this great explanation from ArdanLabs. Well, no more json.loads() for you. In Python deserializing JSON objects is super simple — just use json.loads and that’s it! But in Go, as a statically typed language, this simple operation might be more tricky. In Go, you parse the JSON into a struct you’ve defined before. Any field which won’t fit in the struct will be ignored, which is a good thing. Think of it as a predefined protocol between the two sides. You really don’t need to be “surprised” by the data you received in the JSON, and the JSON fields and types need to be “agreed” upon by both sides. Of course you can still deserialize JSONs without structs but it should be avoided if possible, and it’s always better to embrace the static nature of the language. To better understand JSON encoding in Go, you can take a look at this post , or use “Go By Example” — which is the ultimate cheat sheet resource you will ever have. Too lazy to convert your JSON into Go struct? No problem — this tool will do it for you. The Go compiler will always try to keep your code as clean as possible. Go compiler treats unused variables as a compilation error, and moreover, Go took the unique approach of having the machine take care of most formatting issues. Go will run the gofmt program while saving or compiling, and it will take care of the large majority of formatting issues. You don’t care about one of the variables? Again — no problem! Just use the _ (underscore) and assign it to an empty identifier. A must read doc that contains info about Go formatting is “Effective Go”. I really got used to my Python frameworks and libraries like Flask, Jinja2, Requests and even Kazoo, and I really worried that I won’t find the right ones for Go. But as you can guess, the great community of Go has it’s own unique libraries that can even make you completely forget about the old ones. The built in net/httpprovides HTTP client and server implementations that is really great, and super easy to use. Gin is an HTTP web framework with a really simple API — parameters in path, upload files, grouping routes (/api/v1 , /api/v2), custom log formats, serving static files, HTML rendering and really powerful custom middleware. Take a look at this benchmark. Cobra is both a library for creating powerful CLI applications as well as a program to generate applications and command files. Many of the most widely used Go projects are built using Cobra including Kubernetes, etcd and OpenShift. Some other libraries that I highly recommend are: Viper, Gonfig, and this awesome list — Awsome-Go. Francesc Campoy — You definitely need to check out his YouTube channel and GitHub profile. Francesc also has few great workshops — Go Tooling in Action and Web Applications Workshop. Golang Weekly , Gopher Academy, Golang News Twitter accounts. As an avid Python user for five years, I was concerned that the transition to Go would be a painful one. But I was really psyched to see that there is a truly strong community, contributing and maintaining excellent resources to help you succeed with your transition to Go. Go is one of the fastest growing programming languages today, and I expect that Google will manage to make Go the go-to language for writing cloud applications and infrastructure. 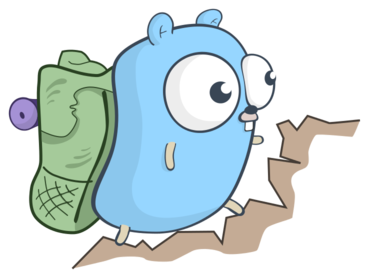 This is an exciting time for Go and I encourage you all to check it out and become Gophers!